H2 receptor antagonist is a compound that helps reduce stomach acid. The drugs are also sold as Zantac, Pepcid, Tagament, and Axid among others. An H2 Receptor Antagonists Overdose is the accidental or intentional intake of the drug in dosage higher than the prescribed values. What is H2 Receptor Antagonists Overdose? What are the Causes of H2 Receptor Antagonists Overdose? What are the Signs and Symptoms of H2 Receptor Antagonists Overdose? The signs and symptoms of H2 Receptor Antagonists Overdose can vary from one individual to another. It may be mild in some and severe in others. Several systems of the body may be affected. How is First Aid administered for H2 Receptor Antagonists Overdose? Who should administer First Aid for H2 Receptor Antagonists Overdose? 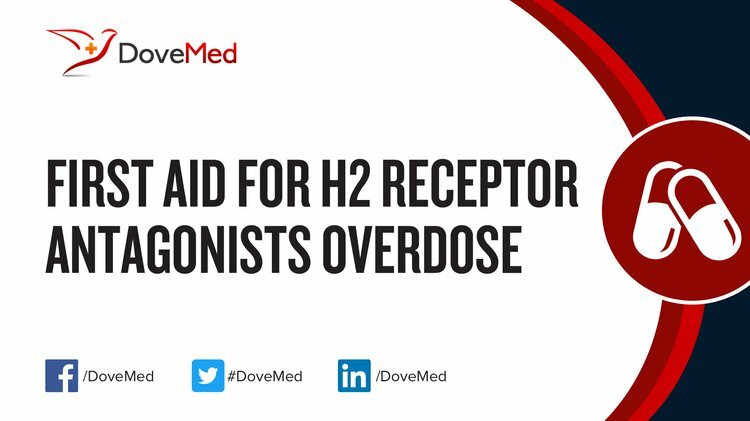 First aid for H2 Receptor Antagonists Overdose is administered by healthcare professionals. What is the Prognosis of H2 Receptor Antagonists Overdose? How can H2 Receptor Antagonists Overdose be Prevented? Simons, F. E. R., & Simons, K. J. (2011). Histamine and H 1-antihistamines: celebrating a century of progress. Journal of Allergy and Clinical Immunology, 128(6), 1139-1150. García-Quiroz, J., & Camacho, J. (2011). Astemizole: an old anti-histamine as a new promising anti-cancer drug. Anti-Cancer Agents in Medicinal Chemistry (Formerly Current Medicinal Chemistry-Anti-Cancer Agents), 11(3), 307-314. Gozzi, A., Turrini, G., Piccoli, L., Massagrande, M., Amantini, D., Antolini, M., ... & Corsi, M. (2011). Functional magnetic resonance imaging reveals different neural substrates for the effects of orexin-1 and orexin-2 receptor antagonists. PloS one, 6(1), e16406. Moody, D. E., Liu, F., & Fang, W. B. (2013). In vitro inhibition of methadone and oxycodone cytochrome P450-dependent metabolism: reversible inhibition by H2-receptor agonists and proton-pump inhibitors. Journal of analytical toxicology, 37(8), 476-485. Mahdy, A. M., & Webster, N. R. (2014). Histamine and antihistamines. Anaesthesia & Intensive Care Medicine, 15(5), 250-255. Vauth, M., Möhner, D., Beermann, S., Seifert, R., & Neumann, D. (2012). Histamine via the Histamine H2-Receptor Reduces α-CD3-Induced Interferon-γ Synthesis in Murine CD4+ T Cells in an Indirect Manner. Journal of Interferon & Cytokine Research, 32(4), 185-190. Ezzat, B. A., & Abbass, M. (2014). The ability of H1 or H2 receptor antagonists or their combination in counteracting the glucocorticoid‐induced alveolar bone loss in rats. Journal of Oral Pathology & Medicine, 43(2), 148-156. Gianlorenço, A. C. L., Serafim, K. R., Canto-de-Souza, A., & Mattioli, R. (2012). Emotional memory consolidation impairment induced by histamine is mediated by H 1 but not H 2 receptors. Brain research bulletin, 89(5), 197-202.